A whole new world! Don’t you dare close your eyes…. Any Aladdin fans out there? No? What’s the latest Disney focus–live action Beauty and the Beast? We’re out of touch. Out of touch is not where you want to be when you’re designing levels. Luckily for you, we’ve decided to compile a list of tutorials that can help break down the mammoth-like task of designing and creating a level of your very own. When you think of a “level” you might think of the largest world you’ve ever putzed around in. Maybe it was the 14+ square feet of Skyrim, although the exact size seems to be debated. Maybe you think of Halo, or Call of Duty, where the levels and the multiplayer “maps” are far more contained, each one visually distinct. Or maybe you think of a 2D game’s levels, like Super Meat Boy or Worms. 1. What Makes a Good Level? Creating a level is more than just designing a layout and building whatever environment you feel like building. Good level design amps up the player experience. As you’ll see throughout these tutorials, a common theme is to build a level with purpose. You won’t be designing a level for the sake of designing a level. You’ll design a level that tells a story, has character, and serves a real purpose within the game. Ultimately though, the level needs to be fun. One quick note on bad level design, and then you can get to the really good stuff! One of our writers insisted on sharing that he’s never beaten Turok for N64. Not even that he’s never beaten the entire game-he’s never completed a single level, start to finish. He’s never made it to a single boss battle without using cheats to teleport himself there… And he swears it was the awful level design. He never knew where to go. The office agrees that part of him, maybe the best part, is still trapped in Turok: The Dinosaur Hunter. Wandering the foggy, open-layout maze, never to return. Please, for the love of Talos, don’t start trapping kids in a level like our poor writer was trapped in Turok. Only you have the power, dear aspiring level designer. Only you. We’re all counting on you. Ok, back to the guide! The tutorial featured on Envato Tuts + for level design is the “Beginner’s Guide to Designing Video Game Levels.” The tutorial is put together by Mike Stout, who worked on games like Ratchet & Clank, Resistance, and Skylanders as a designer. His tutorial isn’t a deep-dive into concepts, but rather a basic look at the five-step process he uses when designing a level. In Step One, you’ll learn how to identify any constraints and limitations for the level you’re designing. In Step Two, he’ll show you how to make intelligent decisions on what should go into a level. This section will deal with brainstorming and structure. In Step Three, you’ll learn about how he outlines a level, and he’ll show you his visual “bubble diagrams” method for mapping this out. In Step Four, he’ll talk you through how he adds substance and expands upon each bubble in his diagram. You’ll end up with a rough map. And then in Step Five, the final step, you’ll be finishing your design. He’ll talk briefly about how to move from your conceptualized design to actually creating the final spaces. He warns you a few times throughout the tutorial, especially in the latter two steps, that these concepts are too vast for the small scope of his guide. He really just covers the basics. Depending on where you are in your game design path, that might be more than enough help for you. If you’re very far along, you might need to supplement this tutorial with others on this list, or with paid material you can find on the internet. 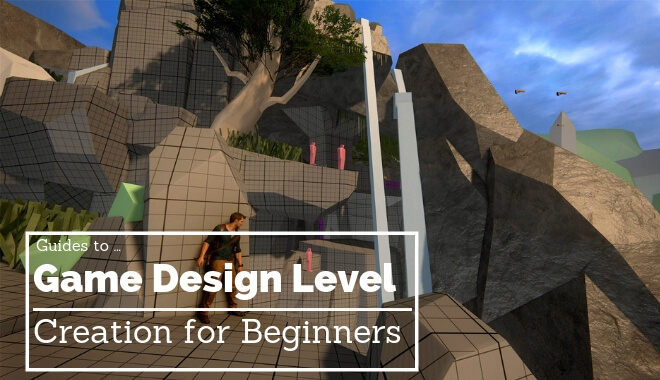 There are a number of other handy resources focusing on level design at Envato Tuts+. There’s one series that teaches you how to build levels using the Super Mario World Method. There’s one for polishing the environments in your game, and many others. It’s definitely worth taking a look to see if one of these tutorials suites a specific need you have within the realm of level design. World of Level Design is a great resource for picking up tips and tricks that can make you a stronger level designer. If you’re stuck, drawing a creative blank, there’s a link to 121 Level Design Ideas and Locations. You can browse through the images and something might inspire you. 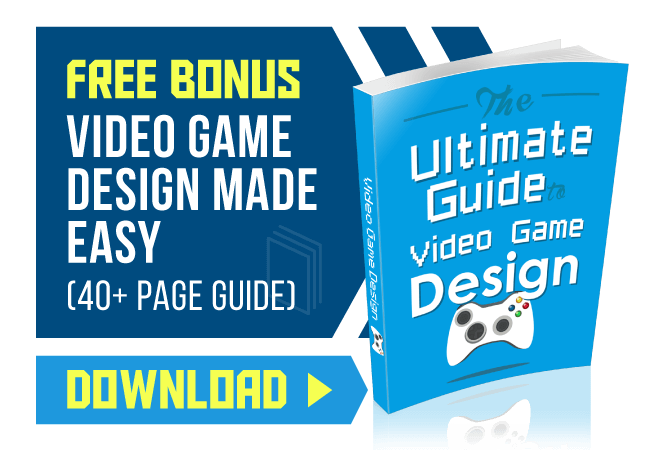 There’s a guide that walks you through planning levels and game environments in 11 steps. This guide goes into some great pre-planning detail, and has solid tips for getting all your ducks in a row before you even open your design program of choice. A big concept World of Level Design pushes is the idea that you need to pull from real life. So they naturally included a “Guide to Collecting Level Design Reference.” There’s even a tutorial for creating a playable level in 11 days (11 steps, 11 days, 121 ideas…what the i11uminati is going on here?). 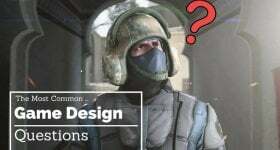 In addition to actual design help, there’s a section of recommended game engines and level editors, as well as a section on managing your time and staying productive. Depending on what aspect of your level design you’re looking to improve, there is likely a guide on this site that could help. Even if you only pull one useful practice or trick from a guide, it’ll be worth your time. Sometimes it’s easier to learn by watching rather than reading! So we used this section to link to some tutorials that could prove helpful for those of you who are visual learners. If you know your way around Unity, you could check out this level design tutorial from Tactical Gamer Pro on YouTube. In it, he walks you through the steps to design an Autumn Park map using Unity. It might not sound like the most exciting thing, but he does move at a good pace and it’s pretty easy to follow along. If you’re looking to do more with Unreal Engine 4, check out this live training tutorial from senior designer Jim Brown. He goes into workflow customization in Unreal 4, which could be helpful if you’re unfamiliar with the power you have over window and toolbar configuration. This isn’t the most exciting video either, but there’s a lot of helpful information in there, especially if you’re new to Unreal 4. Many of the features new to Unreal 4 simplify the level design process, so learning them now will only save you more time down the road. The YouTube video description also includes a link to the official Unreal Engine Wiki “Learn” page. You’ll be able to fill in any knowledge gaps you have from the video, on that page.